Mortgage Insurance, instituted by the Bank Act, was created to help make home ownership easier and more attainable for many people without the means to put down large sums of money on their home. Mortgage insurance should not be confused with life and disability “Creditor Insurance,” where clients can be get insurance to pay off their mortgage or pay their mortgage payments in case of death or being unable to work. With Mortgage Insurance, home buyers can also purchase their home with as little as 5% down payment. 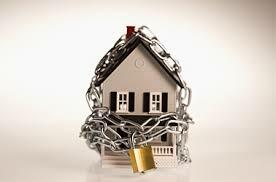 The Bank Act stipulates that all mortgages that are above 80% of the value of the home must be insured. The largest mortgage insurer is Canada Mortgage and Housing Corporation (CMHC). Mortgage Insurance costs a percentage of the mortgage amount and is added to the mortgage, to be paid off over the life of the mortgage.